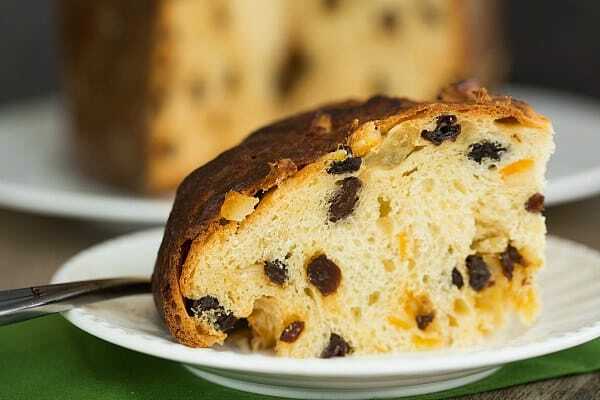 I’m not sure where I heard about panettone bread for the first time, but I was surprised at never having tasted this traditional Italian Christmas bread before. When I asked my mom about it, she said that my grandma used to make it all the time for the holidays (in coffee cans! ), but that after my grandpap died, no one really asked for it anymore, so she stopped making it. It’s such a shame, because I know I would have gobbled it up year after year. 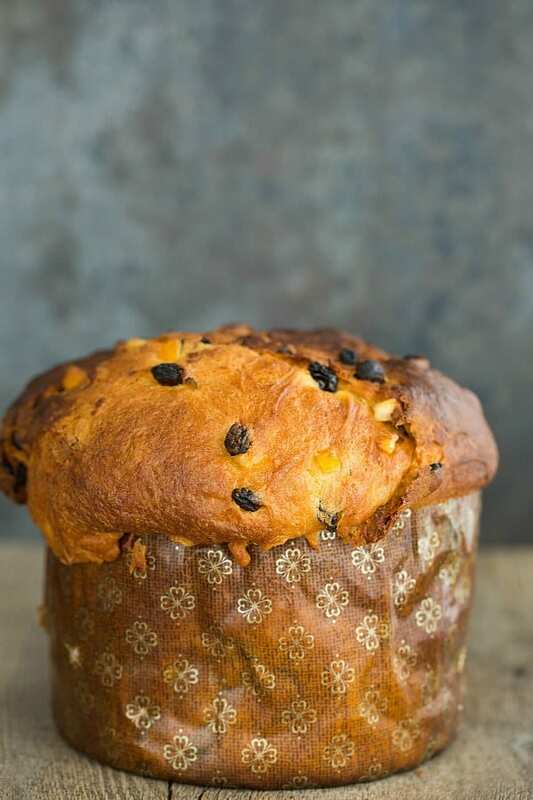 If you’ve never heard of it before, panettone is a sweet bread loaded with candied citron, lemon zest and raisins, and baked in a cylindrical mold, which gives it a distinctive look. Now that I’ve made it, I realize what a holiday treasure this bread is to so many families. After that, I started reading tons of blogs, forums and message boards to see what I could find about my elusive panettone. I discovered more than one reference to a recipe printed in the December 2008 edition of Gourmet Magazine. After a little more digging, I found that Andrea Meyers had made it, and just a few clicks later, I found an actual pdf of the magazine article on Sullivan Street Bakery’s website; it was actually the owner, Jim Lahey, who created the recipe. I knew immediately that it looked like the type of recipe that could be “the one” and carved out time to make it. This recipe makes a beautiful, soft, supple dough that is much like a brioche. Added to the dough is half of a vanilla bean (which is removed before baking), rum-soaked raisins, and candied orange peel. This bread is a true show-stopper. It’s stunning, and the flavor lives up to its looks. The bread is incredibly soft and sweet, and just loaded with flavor thanks to the vanilla bean, lemon zest, raisins and candied orange peel. 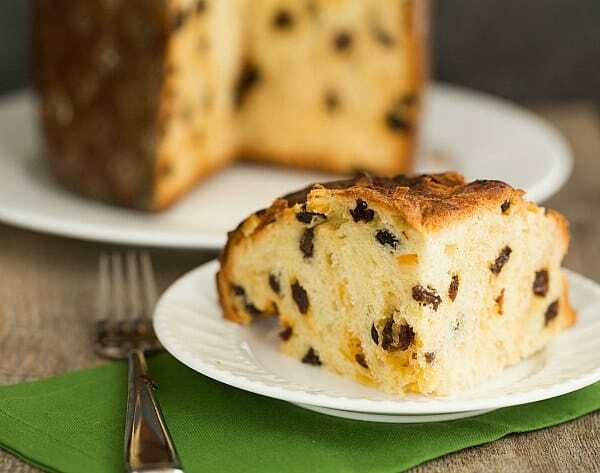 There are a few specialized items you need for this recipe, which include panettone molds (source: King Arthur Flour), candied citron (source: candied orange peel or candied mixed peel, both from King Arthur Flour), and metal skewers for hanging the cooling bread. I’ll be honest, I thought this was totally crazy when I first saw it in the original recipe. 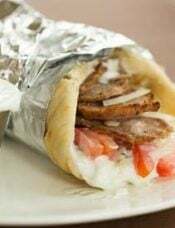 Jim Lahey says that by piercing the just-out-of-the-oven bread with skewers and hanging it upside down, it keeps the bread from collapsing while it cools. While skeptical, I followed the recipe and was pleasantly surprised when my bread didn’t tear through the skewers and end up in the bottom of the pot. I don’t have metal skewers, but I had enormous wooden skewers that I had bought for s’mores back in the summer, so I just used those and they seemed to work just fine. My Chief Culinary Consultant and I ate half of this loaf in just two days. Fabulous doesn’t even begin to describe it. I’m planning on making two more loaves before Christmas – one for each of our families – and I just might make a third for the two of us to continue to enjoy into the New Year. I may have not grown up on this bread, but it’s something that I’m going to make a part of our Christmas tradition moving forward. I wish my grandma could taste this and we could compare notes; I know she would love it! 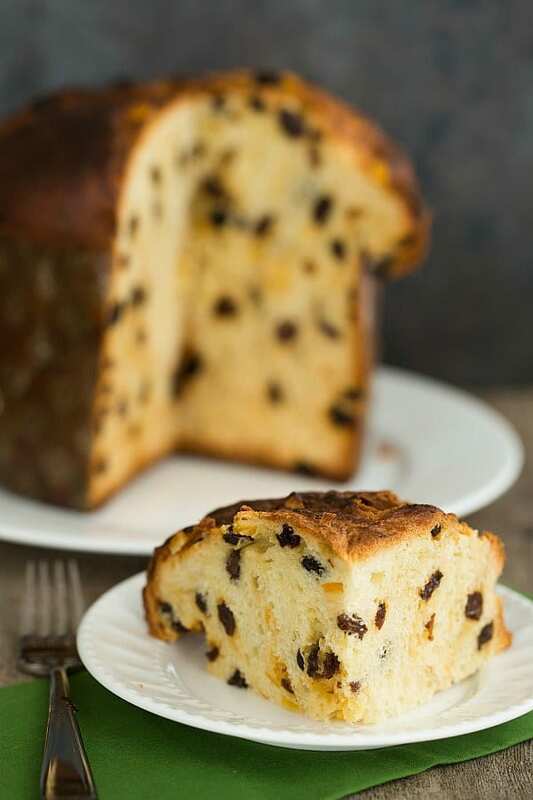 A recipe for Panettone, Italian Christmas bread, with a brioche-like dough infused with a vanilla bean and studded with rum-soaked raisins and candied orange peel. In a small bowl, combine the raisins with the rum and 2 tablespoons of hot water. Allow to soak at room temperature, stirring occasionally, until the raisins are plump and most of the liquid has been absorbed, at least 8 hours or overnight. In a stand mixer fitted with a paddle attachment, mix together the flour, sugar, yeast, salt, lemon zest and vanilla bean on low speed until combined. In a medium bowl, whisk together the eggs, tepid water and honey. With the mixer on low speed, pour the egg mixture into the flour mixture. 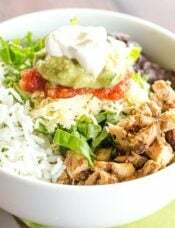 Increase the speed to medium-low and mix until all of the ingredients are combined. Add the softened butter, 1 tablespoon at a time, mixing until incorporated before adding more. Increase the speed to medium-high and beat until the dough is smooth and elastic, about 8 minutes. Drain the raisins, discard the soaking liquid, and stir together with the candied citron and 1 tablespoon of melted butter. Stir this mixture into the dough with a wooden spoon. 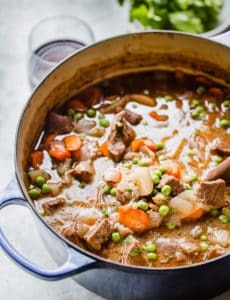 Place the dough in a large bowl, cover with plastic wrap, and let rise in a cold oven with the door closed until it has nearly tripled in volume, 12 to 15 hours. 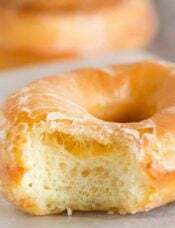 Locate and discard the vanilla bean, then sprinkle the dough lightly with flour and scrape out onto a lightly floured surface. 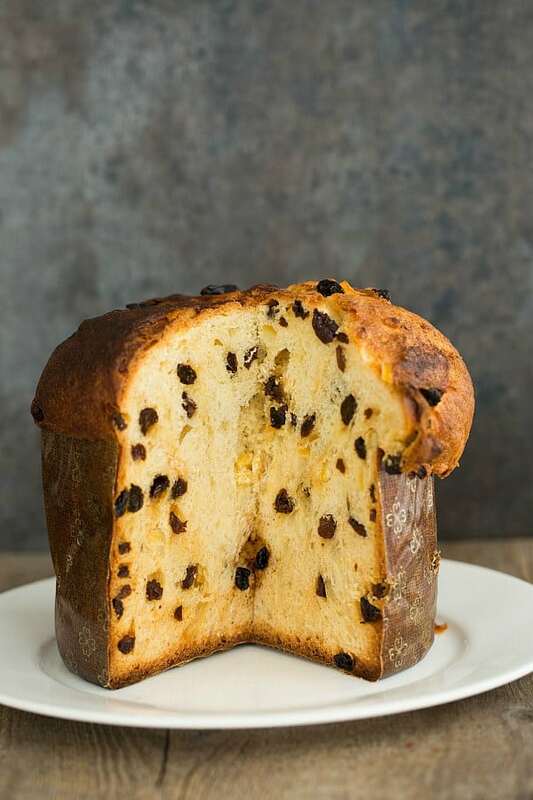 Sprinkle a bit more flour onto the dough, then fold the edges of the dough in towards the center, forming a loose ball, and place, seam-side down, into the panettone mold. 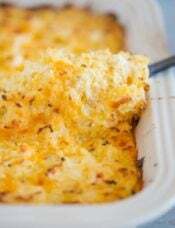 Cover with a damp kitchen towel (not terry cloth) and let rise in a draft-free place at warm room temperature until the dough is just above the top of the mold, 3 to 5 hours. 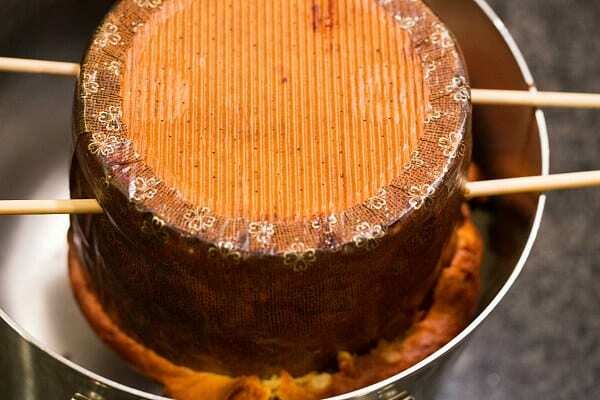 Place the dough-filled panettone mold on a baking sheet. Use a very sharp serrated knife to score an "X" across the entire surface of the dough. 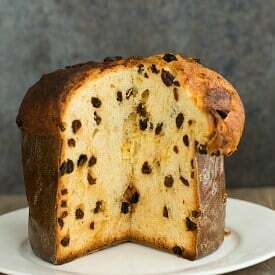 Place the 1 tablespoon chilled butter in the center of the X and bake until a wooden skewer inserted into the center comes out slightly moist but not wet, 60 to 75 minutes (the panettone will be very dark). What a load of trollop!!! This panettone bread that you are portraying to have made was on sale in the supermarkets Christmas 2018… what a scam!!!!! 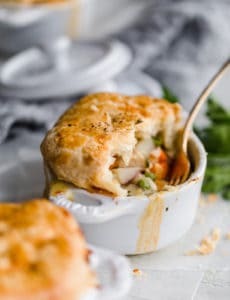 I’ve made this recipe a few times to no avail, every time I make it, it doesn’t rise on the first rise. And the rise on the second is not great either leading to a raw middle or a very dense crumbly texture. Any tips? Hi, why do you cold proof the dough for 12-15 hours? 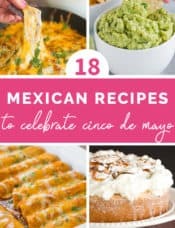 I have made this excellent and SUPER EASY recipe every year since 2013. I’m NOT an experienced bread maker and I’m super lazy and cut corners everywhere when I cook. I chuck everything into the Kitchenaid, mix & cover, check it 15 hours later, pop it into the mold, 5 hours later I’m baking it. It rises high & beautiful. My yeast is usually old or nearly expired since I hardly use it. NEVER had a problem. 5 annual seasons of bliss and compliments from all who eat this perfect panettone. Thank you so much for this. Saves me a ton of cash too since store panettones are getting expensive and I like eating them. Hi Jeanette, That’s so awesome to hear, thanks for sharing and so happy you’ve been enjoying this! I’m a bit confused, in your recipe you say to add flour, yeast, etc… but just add the yeast without putting it in milk or water? Just out of the packet straight in with the flour and other ingredients? Will it rise that way? Hi Megan, Yes, it’s meant to be a slow rise so it works just fine. Can’t believe all the comments about yours not being homemade!!! It would never have crossed my mind. I just posted mine to instagram. I actually made it twice this Christmas season. The one prior to this was actually slightly better as I used SAF Gold yeast and got a better rise and texture. Only other tweaks I made were to sub currents for the raisins, increase the rum to 1/4 cup, add some orange zest with the lemon, use vanilla bean paste rather than a vanilla bean and instead of the citron I used a combo of chopped dried apricots, cherries and cranberries (never been a fan of citron). Now that I have this one down I want to try and recreate one I had from Modena which was injected with a balsamic reduction after baking!! Spread with a bit of fresh ricotta from a nearby Parm factory it was heavenly. I don’t have a stand mixer with paddle attachment! 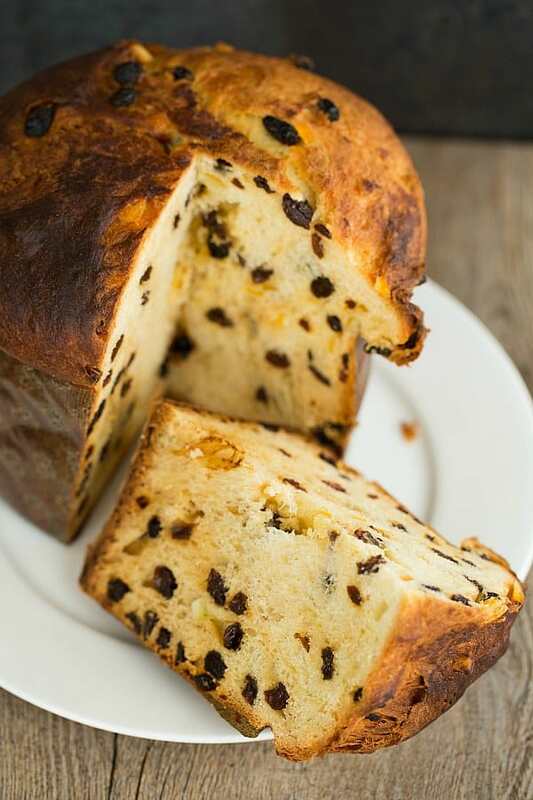 Am I doomed to never make panettone? I have a sturdy hand mixer with a dough hook – would this work? Hi Jeanne, You can still make panettone! I’ve personally never used a hand mixer wtih a dough hook, but I think it’s worth a shot! HELP! I plan to start the dough today(!). Sorry for the short notice. 1. 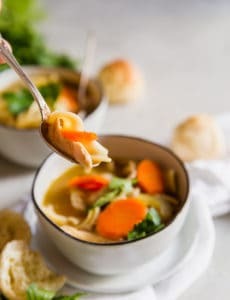 Can I use the dough hook instead of paddle attachment? 2. Are your candied orange peels soft or crunchy or in between? I made them and, of course, kind of overcooked them, so they crystallized and are quite hard on the outside due to the sugar water. I threw them in with my rum soaking raisins to see if that will soften them up. I think it’s working. Are they still ok to use? or Should I candy new peels? Hi Lisa, I think using a dough hook would be okay. As for the candied orange peels, I’ve only ever use store-bought and they are not crunchy, but not totally soft, somewhere in between. Enjoy! I know it is now four years since this recipe was posted, but I notice that a lot of comments BTL are complaining that the dough won’t rise. To all those who struggle with this, try using a yeast that is adapted to a high-sugar environment. Saf-Instant gold is ideal, and results in a much faster rise. Thank you for all your tips! 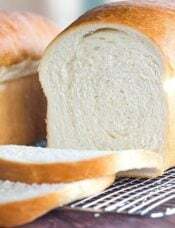 Is your bread’s texture shreddy and stringy when pulled? I have made the Jim Lahey recipe 5 to 6 times now from other sites, and I can’t get the soft and shreddy, melty consistency I am coveting. Very pleased with the outcome, the recipe is shorter than standard Italian ones but it tasted great and was very moist. Really enjoyed making this panettone. Easy to follow, looked and smelled amazing when it came out of the oven. Definitely will try once more.